If It's Hip, It's Here (Archives): Today's New York Times & DWR Crossword Puzzle For Design and Architecture Lovers. Hints, Too. 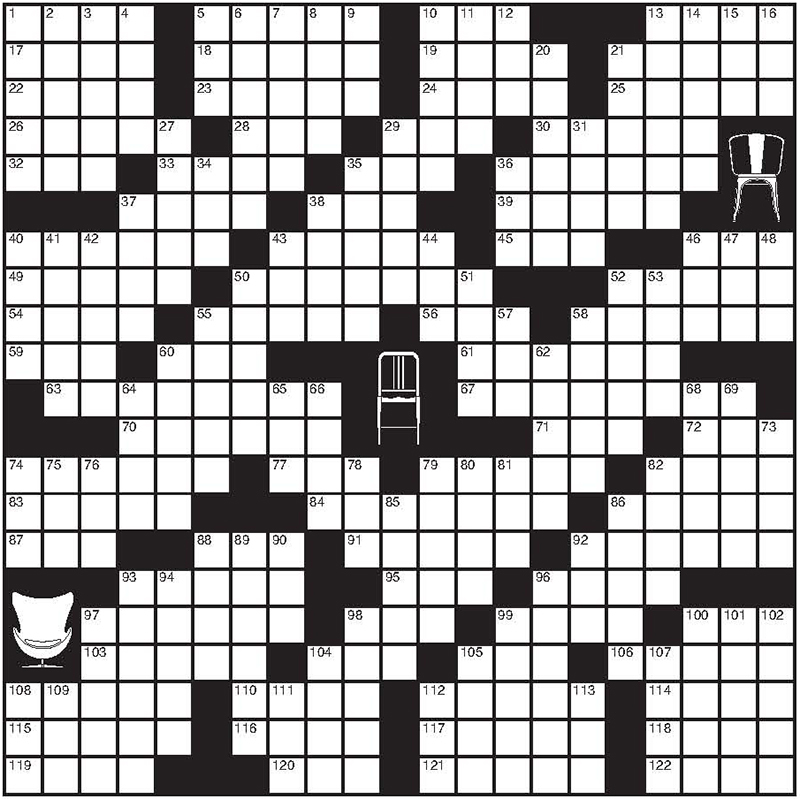 Today's New York Times & DWR Crossword Puzzle For Design and Architecture Lovers. Hints, Too. Design Within Reach and the New York Times have teamed up to create a very special crossword puzzle for architecture and design enthusiasts that appeared in today's issue of the NY Times T Design Magazine. For those of you who do not get the New York Times, I have recreated it here for you along with all the clues and some special hints, courtesy of DWR. This puzzle will also appear in today's October 7 issue of T Design (see page 60) in The New York Times. Visual hint: The Y-Back Chair is also known as the Wishbone. Visual hint: This chair was designed by Eero Saarinen in 1956. Visual hint: Arne Jacobsen designed this organic form for the SAS Hotel in Copenhagen.